Tag Archives for " Non Obvious "
Trends are funny things. People spend their entire careers trying to spot them, but more often than not, the prognosticators are either wrong or simply stating something that’s become obvious to others. It’s kind of funny too because those same folks are often the first to erroneously pronounce when a trend is no longer a trend. I remember many years ago when the mainstream media jumped on the trend of blogging and then certainly were some of the first to tell us that blogging was dead. In reality, neither was true because simply pointing out a trend often belies the true meaning of why it came into existence in the first place. 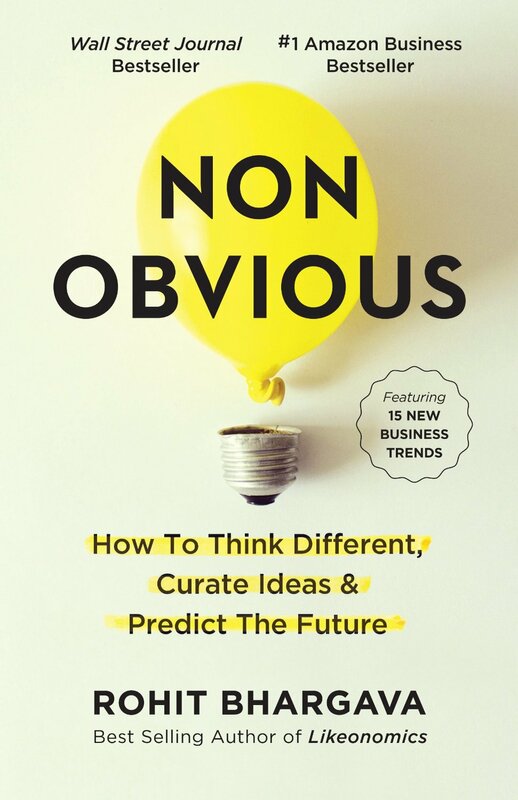 My guest on this week’s podcast is Rohit Bhargava, trend curator, founder of the Influential Marketing Group and author of the new book Non Obvious: How to Think Different, Curate Ideas & Predict the Future. 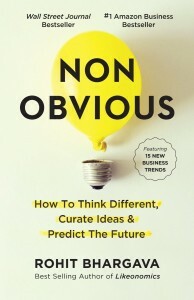 Bhargava uses a method for unearthing what he calls the non-obvious trend in a way that helps you focus on why a trend is a trend and why people often miss the real opportunities behind them. What is your methodology for finding trends? Is it considered lucky for someone to fall upon a trend early? How can you think about trends that may not apply to your business’ industry?